Here are random tips I find along the way. I hope they help, enjoy! If you follow me on YouTube, you already know I released a video on how to create a new Outlook profile. If you don’t follow me there, here is how to create a new Outlook profile. You can find written instructions below this video. Now enter your account information and when added Click Finish. Step Six: If you already have an existing Outlook profile, you will want to select “Always use this profile” and select your new profile from the drop-down menu. Now open Outlook and it you should be ready to go! This entry was posted in Tips and tagged Microsoft Outlook, Outlook, Outlook 2016, Outlook Profile on December 19, 2016 by Merlin Halteman. After installing two Server 2016 Essentials servers this week, I found Anywhere Access on both servers didn’t work properly. When I browsed to the Remote Web Access URL (mycompany.remotewebaccess.com) , I was always greeted with the Internet Information Services (IIS) page. I figured I may have setup something wrong, so I double-checked my settings but everything was setup correctly. I then went to mycompany.remotewebaccess.com/remote and the site then came up fine. This is the workaround I found to fix this issue. Step Three: Check the box Redirect requests to this destination: “Enter company URL with /remote at the end. Step Four: Click Apply You should be set now. If this doesn’t work for you, restart the Default Web Site. I found this forum thread on TechNet with other experiencing the same issues. It wouldn’t be a bad idea to comment on that thread. That will help bring it to Microsoft’s attention. I believe this is a bug with Server 2016. 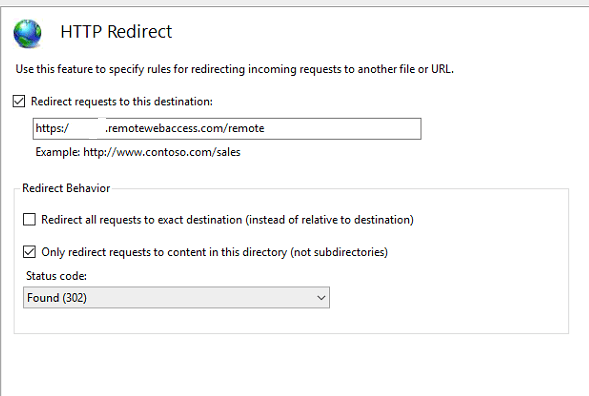 Server 2012 and 2012R2, this worked perfectly without having to do this HTTP Redirect. I will keep you posted if I learn more. Please comment below if this helped you. You can find me on Twitter and check out my YouTube Channel. 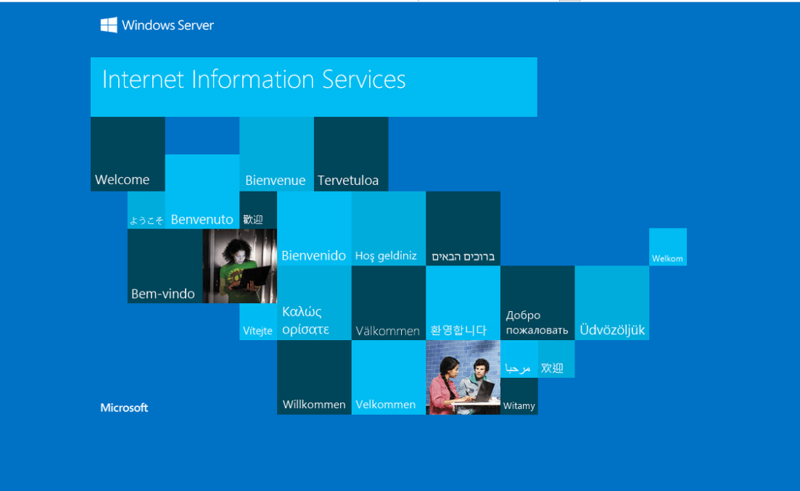 This entry was posted in Main Menu, Tips, Troubleshooting and tagged IIS, Internet Information Services, Server 2016, Server Essentials, Server Essentials 2016 on October 28, 2016 by Merlin Halteman. We’re less than a month away till the release of the Anniversary Update for Windows 10. I decided to make a short video on the changes you can expect to see once you receive the upgrade. I am running the Windows Insider build,so there is a chance that some of the features won’t make it into the final Anniversary Update release. Enjoy! This entry was posted in Main Menu, Tips and tagged Anniversary Update, Windows 10 on July 5, 2016 by Merlin Halteman. Have you ever wondered, what the computer name of a domain-joined PC was from the CTRL + ALT + DEL screen? I just discovered there is a way to find the computer name on a domain – joined computer from the login window. I found this tip the other day on this gentlemen’s blog. I would definitely recommend following this blog, it is packed with useful information. After you hit CTRL + ALT + DEL to login into your domain computer, you can find your computer name by simply doing the following. 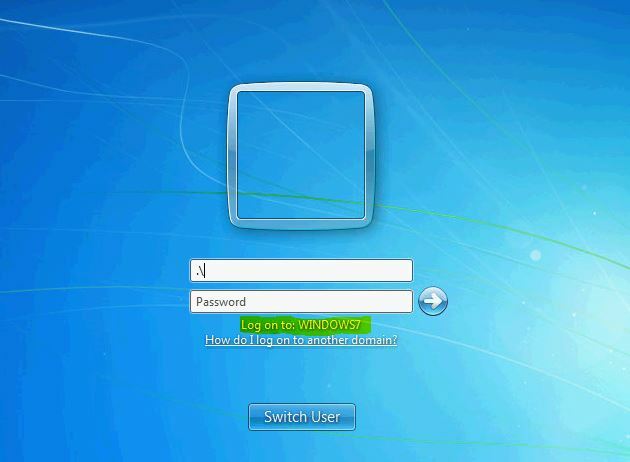 Where you normally enter your username simply type .\ . This will list the computer name below the password field. Pretty cool aye? This simple trick works on Windows 7 and Windows 10. To see the domain again, you simply erase .\ and you will see your domain name. If this tip helped you out, please consider subscribing to my blog and check out my YouTube channel. If you have additional tips or questions, please leave them in the comment section below. This was posted by techspeeder. This entry was posted in Tips and tagged LockScreen, password, Windows 10, Windows 7 on March 1, 2016 by Merlin Halteman. Ever since I received my Nexus 6P, I have been learning more about it. The past couple weeks, I have uploaded some tips on my YouTube on how to better use your Nexus 6P. In this short video, I will show you the fastest way to launch your camera app and take a photo on your Nexus 6P. I hope these videos helped you learn something about your Nexus 6P. Subscribe to my YouTube Channel to find more great tips and tutorials! Thanks for watching! This entry was posted in Tips and tagged Android, Marshmallow, Nexus 6P on February 22, 2016 by Merlin Halteman.